A little bit of a different post on S&D today but I just felt like changing it up a bit. I wanted to tell you all about my drink of choice, the drink that every one of my friends seems to find hilarious, Cherry Sourz and Coke. This is always my pre-drink of choice and I can't even tell you how much I love it. It goes down so easily and tastes amazing! 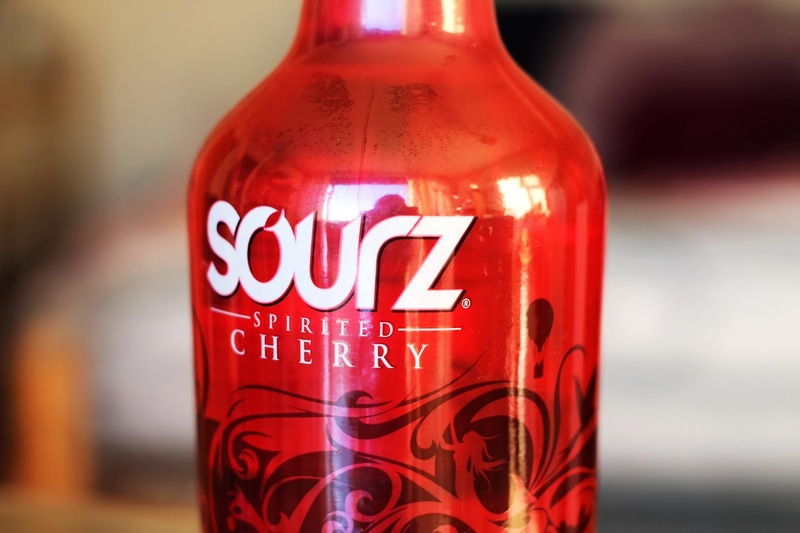 I'm not usually a lover of anything Cherry based but for some reason with Sourz it's different. It's not the only thing I'll drink but if they have it in a bar, then it is definitely what I'll drink. All I can say is I have quite the stash in my little alcohol cove in my room (ahem, 4 or 5 bottles... oops!) and I'm not ashamed to say it. One thing I will say is that this drink wont be for everyone as it is super sweet, but for those of you with a sweet tooth, then I'd say give it a try. It's also great as a shot. Cherry sours and coke sound lovely to me! I made a cocktail with it a while back which had cherry sours, coke and ameretto. I thought it was amazing! Never thought of that, but sounds yummy!